I’m one of 30 shortlisted artists from all over the world. Details: AGIP is pleased to present the work of three artists, Judith Symons, Constance Johnson and Wuon-Gean Ho, who all make prints. 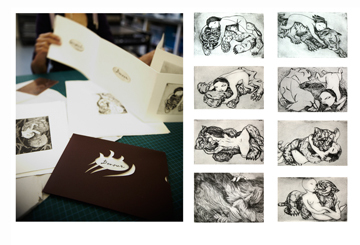 Comprising a number of new works produced in the studio where they create, in East London Printmakers, they each bring their unique vision and sensibility to the artists’ print. The work of Judith Symons is based on fleeting observations of people in the world around her: people lost in their own thoughts on public transport, or enjoying a drink in the local cafe. Her descriptions of these people is an intimate portrait of strangers, who, unposed, express their personalities through body language and dress, as well as forming a representation of a wider social study of life in London. The stillness of each magnifies the sense of emotional isolation that is common in the big city, yet they are depicted with a sensitivity and warmth that speaks of an empathic understanding of each. Constance Johnson‘s prints explore the balance of colour and movement through space. Using sunny colours and an unerring rhythm, her abstract prints juxtapose contrasting patterns that remind the viewer of a sense of musical improvisation. 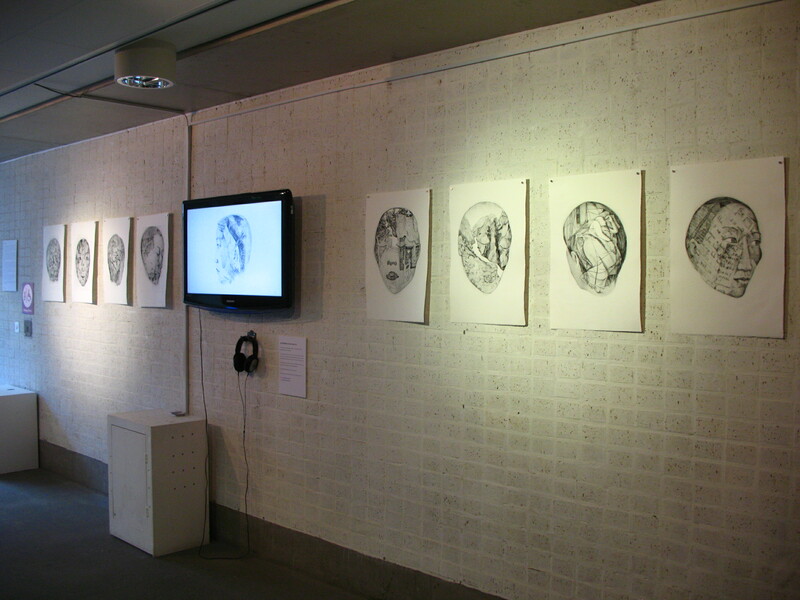 Using overlapping plates and subtle tonal shadows, Johnson says that her works are like windows that ‘appear to encompass entire worlds.’ The playful nature of the variations and reiterations appear like a sophisticated game; the clear colours create a sense of an emotional language, combined in various phrases and conversations. 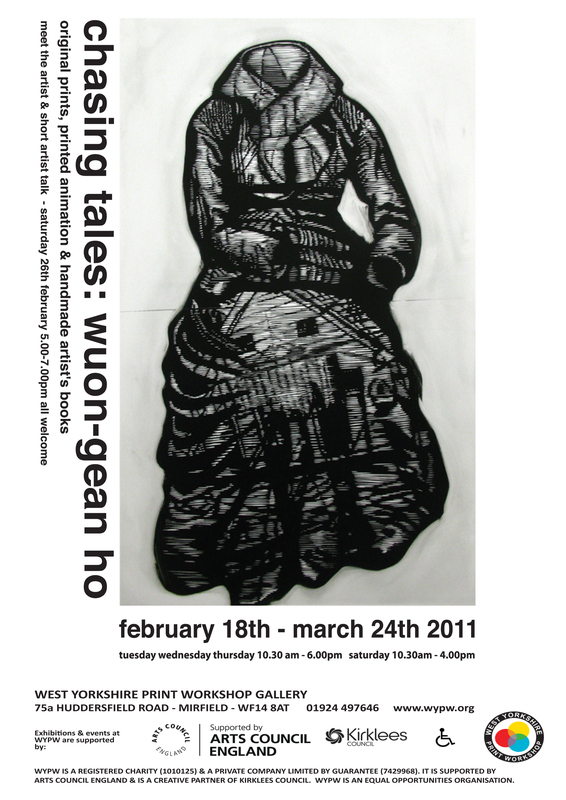 Wuon-Gean Ho‘s prints encompass a range of narratives from her personal life, made into scenic tableaux with wry humour. Packed with characters, the prints cover topics such as cell phone addiction, body identity, ageing, death, and dream-like worlds. Her self-portrait intrudes upon many of the images, commenting and directing attention. Even though they come from direct observation, the figures have been arranged in such a way as to play iconic and symbolic roles. The nature of their interaction is as much the focus of the work as their visual punchlines. In very simple terms, an original artists’ print is made by the construction of a matrix which receives ink that is then pressed onto the paper. Conni makes a range of different matrices that all slot together to make a dazzling array of images. 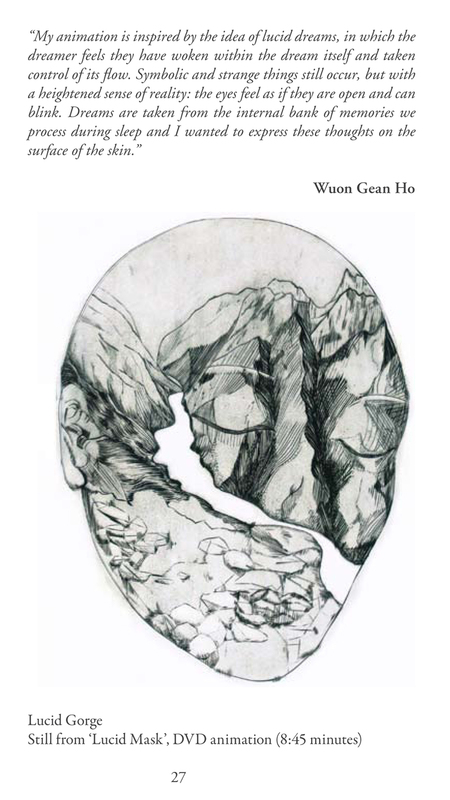 Judith and Wuon-Gean both work chiefly with linocut: areas which are carved do not print; and areas left untouched remain to tell the story. All three artists make prints boldly and expressively, exploiting the process to create a rich diversity of work. The title, Outside In, makes a comment on the direction of the gaze that each artist presents. 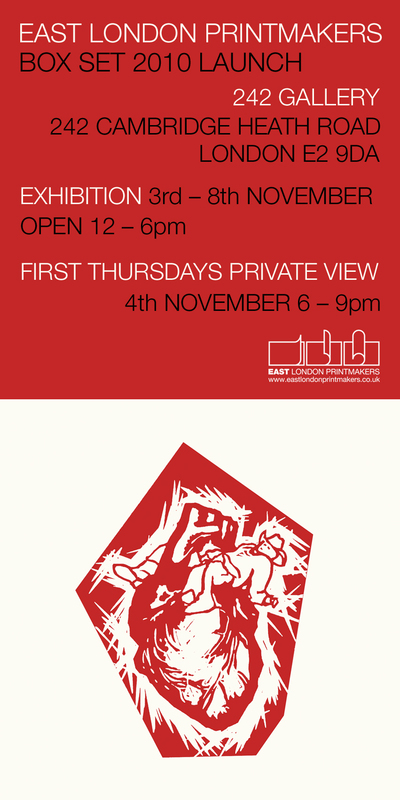 Solo show of prints, books and animations in a cute market town. My print is the enormous colourful one as I was invited to send in something to contrast with the miniature submissions. 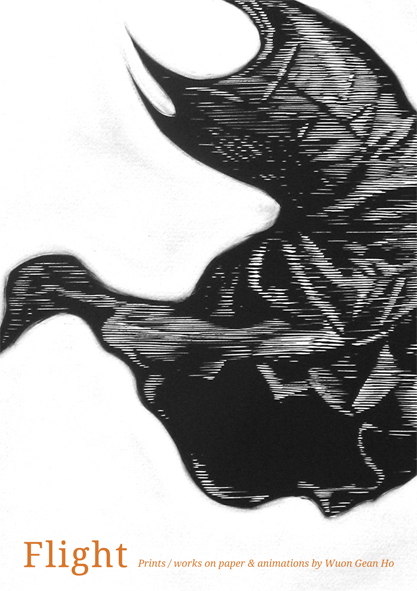 I like the way the print, “Mask Fire” looks over the rest of the work. A one day book fair at St Brides, Bride Lane, 12-6pm. An exhibition inspired by dreams, the subconscious and aspects of Sigmund and Anna Freud’s lives and theories, by 60 printmaking artists associated with the studio East London Printmakers The works on show will consist of 2D prints, installation, sculpture, moving image, artist books and printed textiles, many of which will be woven into the permanent display of the Freud Museum. 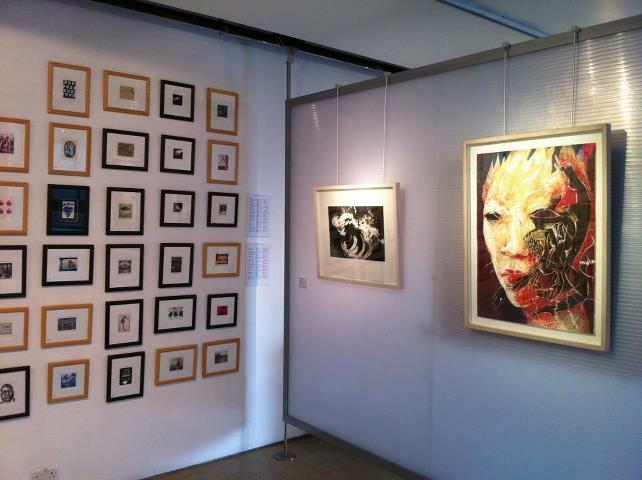 The exhibits include prints by Marcelle Hanselaar, Fabio Coruzzi, Chris Pig, Wuon Gean Ho (Printmaker’s Council Prize UK 2009), Katie Jones (Birgit Skiold Memorial Trust Award 2010), Sumi Perera (Best Overall Book Prize and the Portnall Award, Society of Bookbinders 2009) and guest artists Gavin Turk and Dexter Dalwood. Works can be purchased. Artistic coordination: Katja Rosenberg and Steve Edwards. 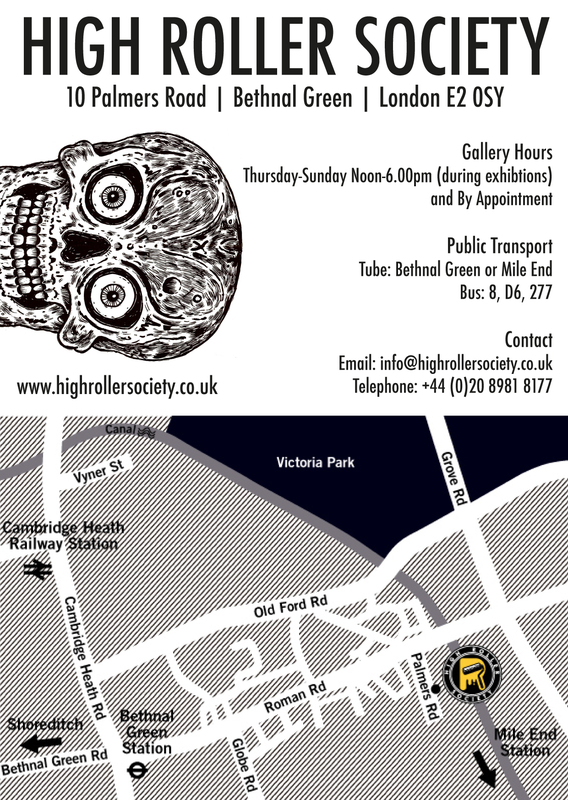 Sunday 21st November, 12-6pm. Entry is free. The address is St Aloysius Social Club, 20 Phoenix Road, London NW1 1TA. The nearest station is Euston and it’s a 5 minute walk from the station. Look for the church on the right hand side (coming from Euston station) and the venue is downstairs from the church. If you are arriving by tube or train, please check that there are no planned service disruptions, which may affect your journey, as there is often maintenance work on Sundays and there have been several tube strikes recently. 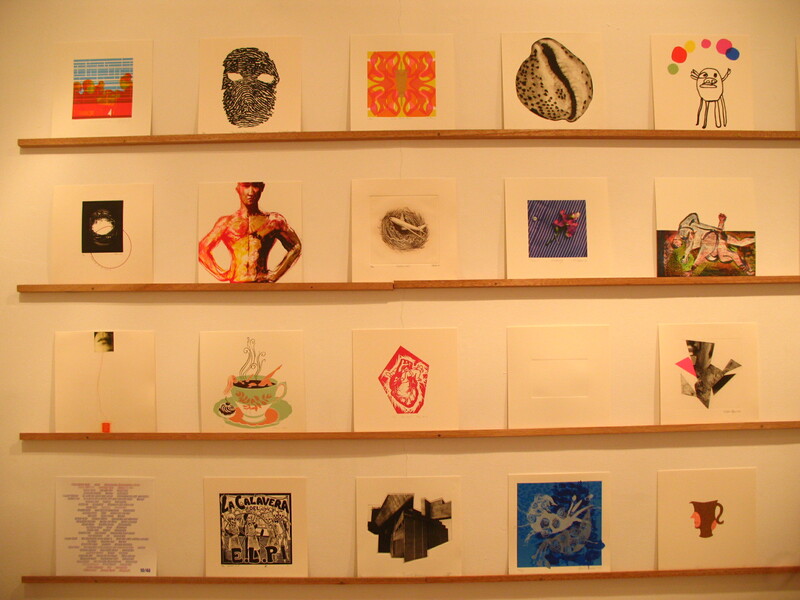 The East London Printmakers’ box set exhibition is a show of prints made to fit a 30 cm square box. My print is called “Swan”, and is of my dad as a body builder when he was in his twenties. 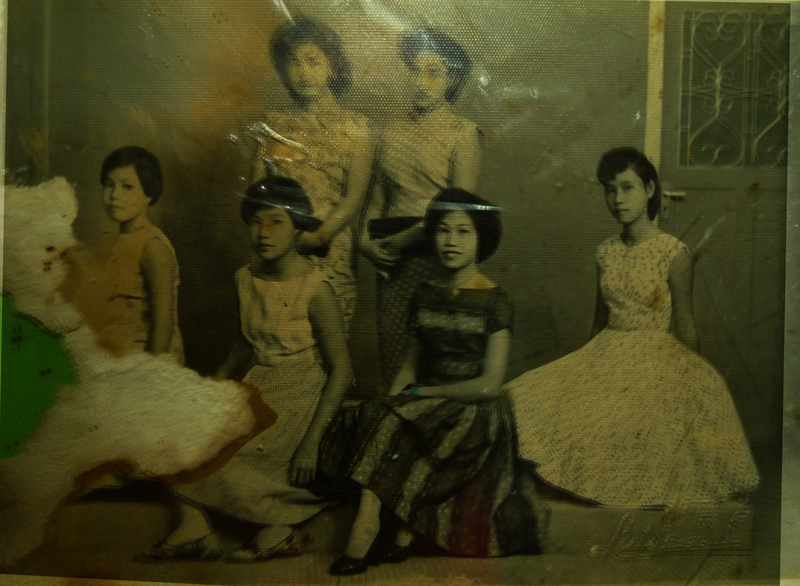 You can see the photo that inspired it in my blog posting in April 2009. Here is a picture of the installation. Very clean and neat, I think you’ll agree! Tues 24th August to Tues 14th September daily 6-9 pm. A Suite of Lighted Rooms will present paintings, drawings, prints, photographs, artist’s books, installations and sculptures by 28 artists who have come together from Britain, Germany, France, Spain, Italy, Denmark, India, China and Lithuania. Each artist has set out to explore details of the lives and works of writers and composers from historic and modern day Russia. Material Gallery open a new branch in London in 1F Kingly Court, near Carnaby Street, on April 23rd 2010. Come along and check it out! Myrtle wallpaper and some of my prints should be there. 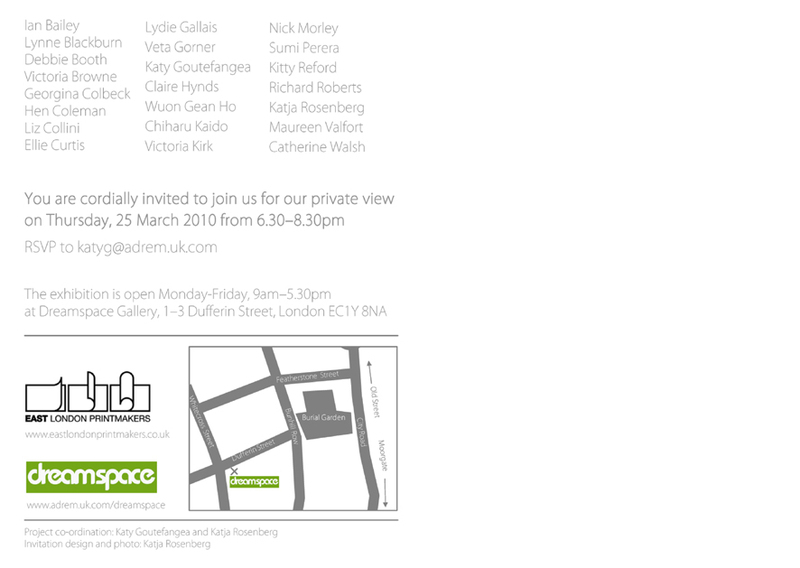 Come along to the private view on 25th March if you are free! From 25th October I’m travelling to China as a guest of the Chongqing Artists’ Association! There are 60 International artists and over 200 Chinese artists involved, participating in five separate shows including a children’s show, a folk art show, this international show and a Qing Dynasty print show. 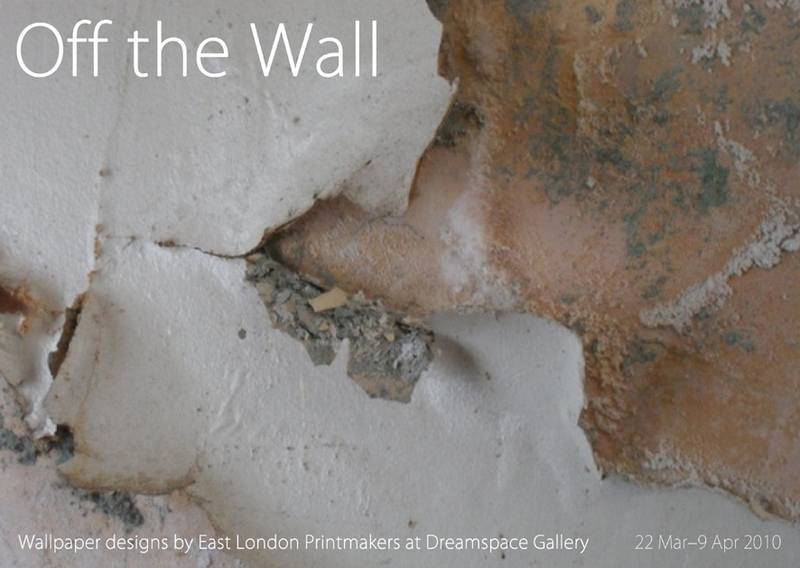 Have a look online here for more information on this event which I have helped curate. A full catalogue will be published in association with this event- watch this space for details on how to get a copy. I will be having a show in Material Gallery, Ludlow from 7th-30 November 2008. The gallery is in a small market town that everyone who I’ve met says is wonderful. Come along and join me if you have time! The 2008 Sitka Art Invitational will be held November 14-16 2008 at the World Forestry Center in Portland, Oregon.